SF Camerawork publications are distributed to SF Camerawork's members as a benefit of membership, as well as arts organizations, libraries, museums, and universities across the globe. If you would like to receive future publications, please become a member. 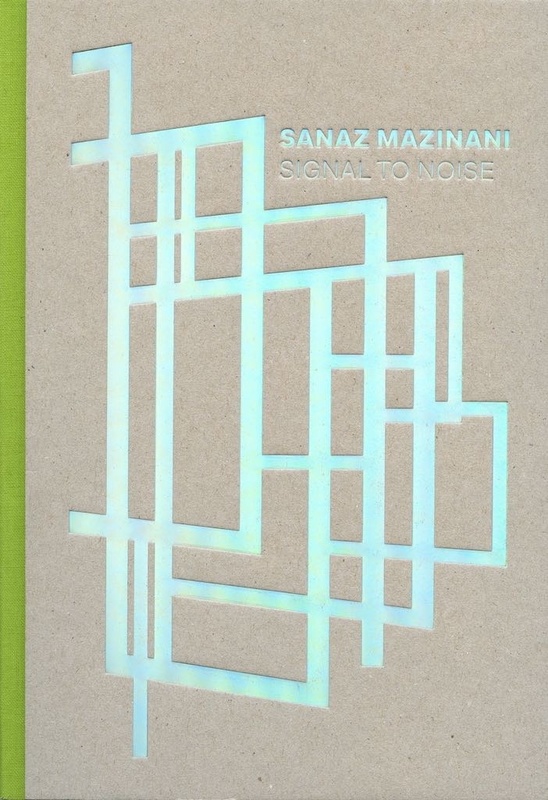 This hardcover book was produced in association with the SF Camerawork exhibition Sanaz Mazinani: Signal to Noise, (February 16 - April 22, 2017). Beautifully designed by Bob Aufuldish in collaboration with the artist and funded with the support of the National Endowment for the Arts, this 68-page book elegantly presents the breadth of the exhibition as it was installed at SF Camerawork gallery. 40 full-color reproductions capture natural light effects and provide full frame and detail treatments of Mazinani’s intricate photographic wall sculptures. Critical essays by Sara Knelman and Valerie Behiery provide insight to the artist’s work and process. This hardcover book is produced in association with the SF Camerawork exhibition Begin Anywhere, (September 7 - October 14, 2017), featuring artists Amanda Boe, McNair Evans, Kevin Kunishi, with Jason Fulford, Todd Hido, Mark Mahaney, Mike Smith, and Alec Soth. Designed by Bob Aufuldish and funded by the National Endowment for the Arts, this 96-page companion to the exhibition includes over 60 full-color reproductions, and an essay by artist Justine Kurland. Begin Anywhere explores the possibilities and influence of artistic mentorship, tracing the paths of visual thinking exchanged among artists and how ideas are developed and manifested in the process of an evolving artistic practice. Published in association with the exhibition Retrieved, co-presented by SF Camerawork and Chinese Culture Center SF (2016), this publication features the work of artist-curators Kurt Tong, Daniel Traub, and Beijing Silvermine/Thomas Sauvin, whose projects are based on photographs retrieved from varied archival sources. All three bodies of work reflect the shifting parameters of the Chinese experience amid the global trend of rapid urbanization and cultural expansion in the early 21st century. For more information about the exhibition, please see our past exhibitions page here. Released in conjunction with an exhibition at SF Camerawork in September 2015, Fourth World: Current Photography in Colombia highlights the work of photographers Jaime Ávila, Zoraida Diaz, Luz Elena Castro, and Andres Felipe Orjuela, whose images range from documentary photojournalism to contemporary art. Together they explore the experiences of cultural and ideological conflict that characterize daily life in Colombia. From the photographic documents of Colombia's dark periods in the 1980s and 1990s to the recent racial struggles in the U.S., the result is an ensemble of images that propose a distillation of fragmented, unstable, and layered realities. In response to having her identity stolen in 2009, artist Jessamyn Lovell began to pursue the woman who was using her stolen identity and made art of the process. An act of artistic retribution, Lovell utilized her camera to occupy the varied roles of victim, stalker, investigator, artist, spy and vigilante to create a body of work that touches on contemporary concerns of surveillance and selfhood within the information age. For an artist whose previous work has engaged questions of identity, Dear Erin Hart, represents Lovell's continued examination of the self as it relates to a "data-self" that exists amidst the chaotic unfolding of real life. This catalog was produced following the SF Camerawork exhibition Dear Erin Hart, (September 3 - October 18, 2014), and includes an essay by Chief Curator of the Contemporary Jewish Museum, Renny Pritikin. In March 2010 Jason Lazarus began to build an archive of photographs deemed "too hard to keep," a project he says he has committed to for life. To date, submissions have included a variety of photographic materials: photo albums, slide, negatives, jpegs, and photo objects depicting friends, family, pets, interiors, lovers, and landscapes. Lazarus encourages donors to the archive to indicate whether the submission may be exhibited and published or if it is to remain private. Anonymity is maintained with all donors. In its first three years the archive grew to include more than 3,000 donations. SF Camerawork hosted a drop box to collected donations to forward to Lazarus from October 2010 to March 2013. This monograph represents a selection of more than 50 images from the archive and includes an essay by acclaimed art historian Abigail Solomon-Godeau. THTK (2010—Present) was produced in conjunction with the SF Camerawork exhibition T.H.T.K (San Francisco) (January 16 - March 16, 2013). Gerald Slota: Story represents a project many years in the making and includes a selection of 36 photographs, many of them unique, from eight different bodies of work beginning in 1994. 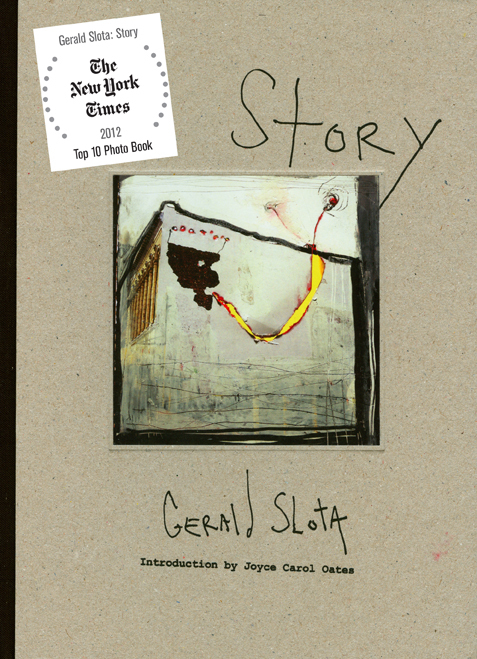 This monograph was named one of the “Top 10 Photo Books of 2012” by The New York Times: “You have to respect a monograph whose own foreword likens the pictures to ‘a psychotic arts-and-crafts scrapbooker.’ Slota starts with photographs, his own and others, then scratches, cuts, and writes over them; the results are idiosyncratic, emotional and sometimes disturbing. An accompanying essay by Joyce Carol Oates describes the quick snaps of arrested narrative that make his images so mesmerizing. She writes, ‘Woe to the mere writer whose words appear alongside the artist’s visceral yet dreamlike works of unsurpassing beauty and unease!’ Well put.” Gerald Slota: Story was produced in conjunction with the SF Camerawork exhibition of the same title (September 14 - November 1, 2012). Focusing on the relationship between the photographic arts and writing at a time when each medium is in flux, As Yet Untitled: Artists and Writers in Collaboration was an experimental proposition for an exhibition at SF Camerawork (January 6 - April 16, 2011) as well as an accompanying catalogue. What happens when photographers and writers are brought together and asked to collaborate? One can only imagine, hence the project's title. Artists and writers whose diverse practices intersected through shared concerns with photography and writing were invited to participate by producing projects that explore these mediums as they experience a similar push toward the use of new technologies. The collaborators who agreed to participate provided a series of responses to the investigation of a photographic and written union. The participating artists and writers, Leigh Illion, and SF Camerawork collectively organized this project. Featuring collaborative projects by: Anne Colvin and Stuart Krimko; Colter Jacobsen and Dodie Bellamy with Publication Studio; Nonsite Collective; Matt Lipps and Nona Caspers; RJ Muna and Guillermo Gómez-Peña with La Pocha Nostra; and David Horvitz with Zach Houston and Ed Steck. Suggestions of a Life Being Lived is a bold presentation of contemporary work that looks at queerness as a set of political alliances and possibilities. Untethered to institutions of sexual or gender normativity and in pursuit of greater freedoms, the work in this book represents queer activism, intentional and imagined communities, self-determinism, and DIY alternative world-making. Less concerned with categorical sexual identities or coming-out narratives, this book presents work that looks outward towards collective and resistant expressions of queer community existing outside of dominant gay and lesbian culture. This catalogue was produced in conjunction with the SF Camerawork exhibition of the same title (September 9 - October 23, 2010). Featuring work by: Steven Miller; Tara Mateik; Killer Banshee; Gay Shame; Kirstyn Russell; Jeannie Simms; Lenn Keller; Mercury Vapor Studios; Chris Vargas; Greg Youmans; Jason Fritz Michael; Aay Preson-Myint; Allyson Mitchell; Eric Stanley; Torsten Zenas Burns; and Darrin Martin. Since 2006 Jennifer Karady has turned the focus of her art practice toward staging photographs of a significant memory from individual veterans' experience in relation to how that memory manifests itself in their civilian life. In creating these photographs, Karady actively engages with these veterans, both as collaborators and subjects. After extensive interviews and a lengthy planning process, each veteran reenacts the chosen memory, in uniform, often surrounded by family and friends and within her or his everyday environment. As staged, completely analog photographs rich with allegory and symbolism, these veterans shared memories, recalled and revealed in collaboration with Karady carry with them the stories of their subjects. The veterans' recollections, derived from interviews conducted by the artist, are included alongside the photographs. Currently a work-in-progress, Karady hopes to eventually complete this project with 25 photographs of veterans from around the country. This 12 x 12-inch monograph features a full-color 24-page portfolio (that includes soldiers' stories of war recounted in their own voices), an interview with Jennifer Karady, and an essay by art historian Carol McCusker, Ph.D. This monograph accompanied the SF Camerawork exhibition of the same title. (May 6—August 7, 2010). The Future Lasts Forever utilizes the notion of autobiography as a way to explore the work of contemporary artists who are using archival material, exploring persistent subject matter, and examining their own personal histories. In addition, the practical ways and means that surround art practice and preserve works for the future beyond the ephemeral exhibition model are surveyed. To emphasize an autobiographical focus in egalitarian terms, accompanying texts featuring an articulation by each artist, publisher, or collector regarding his or her particular focus follow the portfolio. The cumulative effect of these projects serves to exemplify the evolution, over time, of a multifaceted and multicultural major American metropolitan region. 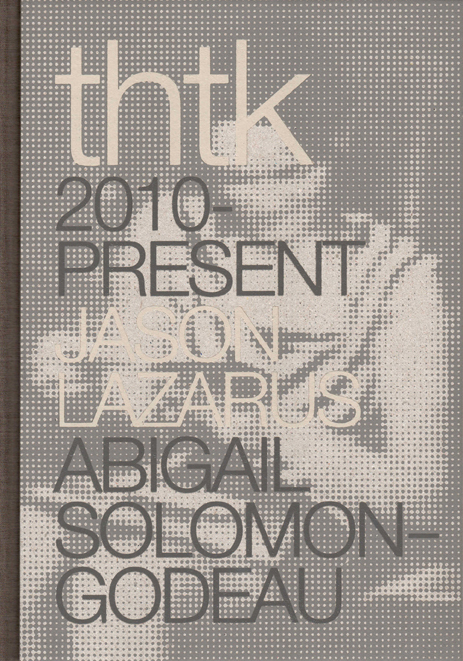 This catalogue was produced in conjunction with the SF Camerawork exhibition of the same title (January 7 - April 17, 2010). INCLUDING WORK AND CONTRIBUTIONS BY: Cause Collective (Ryan Alexiev, Jessica Ingram, Bayete Ross Smith, Jorge Sanchez, and Hank Willis Thomas); Michael Light; Linda Connor; Chris McCaw; Lukas Felzmann; Richard Gordon; Apollonia Morrill; Robert Dawson; Youngsuk Suh; Louis Hock; Anne Collier; Victor Arimondi; Ivy Nicholson; Kevin Killian; Janet Delaney; Peter Tonningsen; Binh Danh; Hulleah Tsinhnajinnie; Tammy Rae Carland; Jessamyn Lovell; Lynn Hershman Leeson; Paul Schiek; Abner Nolan; Todd Hido; Charles Gatewood; V. Vale; Peter Berlin; Robert Mapplethorpe; Jack Fritscher; Lew Thomas; Ira Nowinski; Caitlin Atkinson; Richard Barnes; David Maisel; Mark Richards; Tom Marioni; Paul Kos; Anne Walsh and Chris Kubick. San Francisco Plays Itself utilizes the notion of autobiography as a way to explore the work of contemporary artists who have engaged with the cultural and physical landscape of the Bay Area. Featuring more than 35 photographs by 31 artists, accompanying texts provide a contextualizing articulation by each artist of his or her work that serves to emphasize the autobiographical focus in egalitarian terms. The cumulative effect of these projects exemplifies the evolution of a specific time and place, while representing the unlimited experiences and possibilities of life in a major American metropolitan region. This catalogue was produced in conjunction with the SF Camerawork exhibition of the same title (September 10 - October 31, 2009). INCLUDING WORK AND CONTRIBUTIONS BY: John Chiara; Mark Citret; Judy Dater; Kota Ezawa; Alex Fradkin; Jona Frank; Richard Gilles; Jim Goldberg; Katy Grannan; John Harding; Chauncey Hare; Christina Koci Hernandez; Zig Jackson; Michael Jang; Keba Konte; Annie Leibovitz; Alice Waters; Ken Light; Ari Marcopoulos; Mary Ellen Mark; Laura Albert; Ken Miller; William Vollmann; Richard Misrach; Abelardo Morell; Dan Nicoletta; Gus Van Sant; Catherine Opie; Adam Klein; Michael Rauner; Alice Shaw; Shi Guorui; Larry Sultan; Sergio De La Torre; Tseng Kwong Chi; Catherine Wagner; and Mary Gaitskill. PLUS: The music CD “The Size Queens III” featuring guest appearances by Laura Albert; Guillermo Gómez-Peña; Tim Mooney; John Murry; Danny Pearson; and Terese Taylor. Published on the occasion of SF Camerawork 2010 Members’ Exhibition, Roll Call (May 6—August 7, 2010), guest-curated by Tanner Borskey. Roll Call borrows the aesthetics and design elements inherent in the production of a school yearbook as a framing device for an exhibition and catalogue of self-portraiture. Whereas yearbooks conform to a regimented style of portraiture, Roll Call sought to bring together SF Camerawork artist members as only they see themselves. 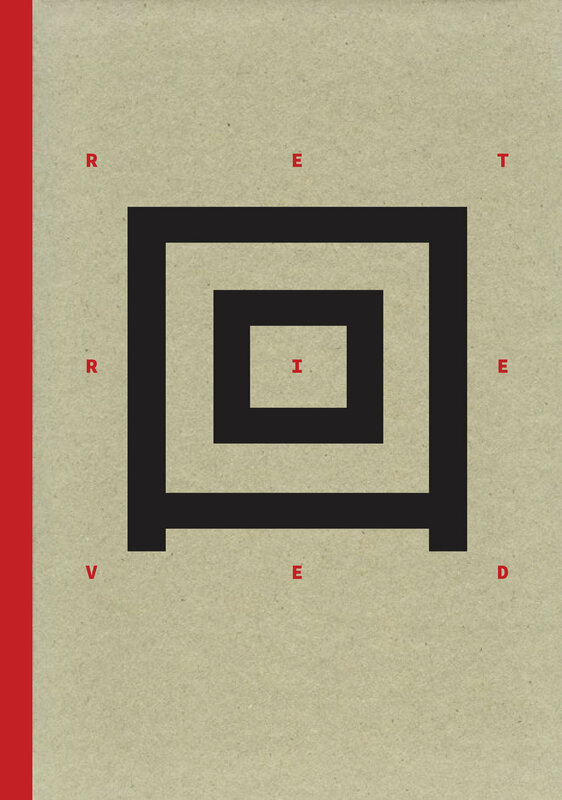 As a result, the exhibition catalogue represents a kind of "SF Camerawork Class of 2010." Includes work by more than 100 international artists. To order, please visit Blurb. Published on the occasion of SF Camerawork’s 2009 Members’ Exhibition, Ersatz Group Exhibition (June 4—August 22, 2009), guest-curated by Dennis D’Ambrogio and Chris Fitzpatrick. Ersatz Group Exhibition utilized the aesthetics and mechanisms of the postal service as means for an exhibition of artwork created by mail. The artwork was the mail and the way the piece arrived was how it was installed in the gallery. The exhibition was co-curated by SF Camerawork’s UPS deliveryman Dennis D'Ambrogio. Curators Larry Rinder and Evelyne Jouanno were invited to tour the exhibition and their responses were included in the catalogue. In the spirit of a creative exchange economy, all of the works were returned randomly by mail to participants in the exhibition after it closed. Includes work by more than 100 international artists. We have teamed up with artist Michelle L. Morby to create a special SF Camerawork tote bag, featuring Edward Weston-ish, Morby's rendering of the photographer himself. From hauling all your photo equipment to picking up groceries, this is the perfect everyday bag for any photo enthusiast.